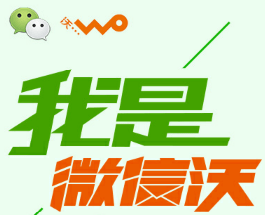 Tencent and Guangdong branch of China Unicom will jointly roll out WeChat Wo SIM card on Aug 8. (in Chinese). The monthly plan for 300M (500M during promotion period in 2013) WeChat data traffic is for 10 yuan, enabling WeChat users to chat and share pictures without worrying about hefty data fees. Users can enjoy a 98.5 percent discount in payment recharging, cheaper data plan, preferential prices for paid WeChat games and special emoticons. Also they can have 60 members in a WeChat group instead of 40. But users have to sign up to a 66-yuan monthly contract (36 yuan for students) first in order to enjoy the WeChat offering. WeChat Wo is only available in Guangdong province now. If the product is successful in Guangdong, China Unicom plans to introduce it to other provinces this September, such as Jiangsu, Zhejiang, Fujian and Yunnan, citing an insider of the group (source in Chinese). It is worth noting that Guangdong branch of China Telecom planned to launch a specialized data plan for both WeChat and Weibo. Users can get 2GB of WeChat and Weibo traffic for 6 yuan.